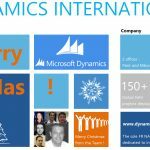 Microsoft has recently updated its portal dedicated to the features comparison of its Mid-Market global ERP, Microsoft Dynamics NAV. 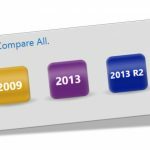 This tools compares NAV versions from version 4.0, till the last one : NAV 2016 (including v5.0, 2009, 2013, 2013R2, 2015 and 2016 -2017 to come-). By clicking on the “Compare All”, then on the “Expand All” links, it becomes easy to see and compare which features are linked to which version. Companies using Dynamics NAV can evaluate the pros and cons of migrating from their current version to a newer one. Technological improvements are also making sense around this updates opportunities for international multi-countries SMB or international Mid-Market companies. In any case, feel free to contact Dynamics International in order to receive some recommendations regarding your own upgrade project.